If you need a list of UFC events, then you always get what you need right here at the MMAGateway, and today your going to get all the information on the upcoming UFC 218: Holloway vs Edgar card which is coming up on Saturday 2nd December at Little Caesars Arena, Detroit, MI and where you can get your tickets to attend the event. So first we will go into a full analysis of the fighters and bouts happening on the main card, and if this is going to be the first UFC fight card you’ve attended, well then your in for an extra special treat because UFC events are THE MOST exciting live event in the world from my perspective. Max “Blessed” Holloway has been absolutely unstoppable in the UFC since losing to “The Notorious” Conor McGregor by unanimous decision in 2013, in fact he is unbeaten since that fight. He is riding an 11 fight win streak against the best fighters at 145 pounds, and is looking to make his First UFC Featherweight Title defence against the legendary Frankie “The Answer” Edgar. Frankie is a former UFC Lightweight champion and it will be fascinating to see if he can clinch a second title in his amazing storied career. Watch this video so you can let the bubbles of excitement build for this awesome fight! Max “Blessed” Holloway vs Frankie “The Answer” Edgar – As we mentioned at the top this is currently slotted as the main event, but I wouldn’t be surprised if a last minute big name fight gets added to the card in the next few weeks. But as for this fight itself, it is a really hard fight to call, it has a distinct old guard vs new guard feel to it, as the old veteran Lion in Frankie Edgar steps up to face the new young lion in Max Holloway who rightfully sits on the throne at 145 pounds. I genuinely feel that on the feet while the boxing exchanges could be very close, I am confident that Holloway’s Muay Thai should be far superior to Edgar in this fight which should give him a big edge on the feet and enable him to land big kicks, elbows and knees.I expect the grappling exchanges to be pretty close as both men have submissions over top level opponents, but I do expect Frankie Edgar to have a significant Wrestling advantage in this fight – and Frankie has always been very intelligent about how to mix up his Wrestling with his Boxing, so I would not be surprised to see Frankie try to dominate with his Wrestling. Henry “The Messenger” Cejudo vs Sergio Pettis – fantastic fight this is definitely a number 1 contenders bout to see who gets the next shot at Demetrious “Mighty Mouse” Johnson. As a contest it is a fascinating styles match up – Sergio Pettis has some of the cleanest technical striking at 125 pounds right now, not as flamboyant as his older brother Anthony Pettis. So I expect Pettis to have a significant striking edge, however, has shown some durability issues in past fights, and Henry Cejudo is as durable as they come with a big right hand and overall powerful boxing, so Sergio will still need to be very careful on the feet.But its Henry Cejudo’s Olympic Gold medal level Wrestling that I fully expect to dominate this fight, Sergio has good grappling so Cejudo will have to be careful with his positioning on the ground, but I just feel that Cejudo has too much to his game for Pettis to deal with, and i think he will cement his place as the number 1 contender in this fight possibly with a stoppage via boxing into ground strikes. Dominick “The Dominator” Cruz vs Jimmie Rivera – another great fight and just like the Cejudo/Pettis fight, this is very likely a number 1 contenders bout at 135 pounds. To many this fight will be “obviously a Cruz win” but for me its a really tough fight to call, sure Cruz is one of the best 135 pounders ever, with his legendary unique footwork, phenomenal chin, amazing cardio, solid striking and grappling as well as outstanding wrestling. But Jimmie Rivera is an athletic beast who also has an amazing chin, his cardio is top notch, and has a very dominant wrestle/boxer game. Sure Cruz has fought many competitors that are similar to Rivera, but its been a long time since we saw Dominick Cruz lose a fight, and the way that Cody Garbrandt beat him essentially at his own game, with a heap of taunting on top has to still sting for Cruz.That is the part that is fascinating to me about this bout, how will Cruz recover from such an embarrassing loss to Garbrandt? Jimmie Rivera is nobodies stepping stone, and this fight could be a bad idea for Cruz if he is not prepared for Rivera’s athletic powerful game. But gun to my head, I would still expect Cruz to win what I expect to be a very close fight, perhaps a split decision, but I do not expect either man to finish each other. Alistair “The Reem” Overeem vs. Francis “The Predator” Ngannou – this fight is an absolute heavyweight titanic clash of two of the biggest strikers at Heavyweight right now. This fight like the main event has a serious old guard vs new guard feel to it, and I think we can all agree that we will all be very shocked if there is not stoppage in this fight. Sometimes two heavyweights can get scared of each others power and the fight can descend into a boring stare fest, but that is a part of why Franic Ngannou is such an exciting Heavyweight prospect right now – the guy so far has had no regard for his opponents capabilities, and pretty much just like his nickname implies stalks his prey ending with a vicious KO. But sooner or later Ngannou will have to learn to respect an elite strikers power, and historically none have been more powerful at heavyweight then Alistair Overeem – the power that man has in his Muay Thai techniques is frightening and has ended many of the best fighters in the world with a single knee, elbow or kick. However, father time waits for no man, and I just feel that despite Overeem technically improving hugely in recent years, he has had so many fights at this point and physically he is degrading. I expect Francis Ngannou will take another big scalp here in his resume and get a KO win to set up a number one contender or even Title fight down the line in 2018. Eddie Alvarez vs. Justin “The Highlight” Gaethje – Ohhhhh man the violence should be unrelenting here, I mean seriously come on this fight could definitely headline a card by itself. This fight is guaranteed fireworks and even though we have had some amazing fights this year, I still wouldn’t be surprised if Alvarez steal the fight of the year honours here. Justin Gaethje is just pure excitement when he steps into a cage, his unrelenting pressure, powerful leg kicks and boxing game, along with a really solid chin makes ALL of his fights entertaining. Gaethje forces his opponent to stand and fight or get finished against the cage.He also has excellent Wrestling pedigree being an NCAA Division 1 all american, as well as having serviceable Jiu-Jitsu, so its easy to see why he is undefeated in 18 professional fights, why he was Bellators. I think Gaethjes Wrestling prowess which is superior to Alvarez, will force Alvarez to stand and bang with Gaethje. Because despite Gaethje having such a high level Wrestling pedigree, he usually only uses it defensively to keep the fight standing. Alvarez though sometimes seems to get stringer as he gets hurt in a fight, so Gaethje could really bring the dog out in Alvarez in this fight, and that’s what makes me think we could have a fight of the year possibility here. But ultimately I think Justin Gaethje will prove that which he has proven in all of his MMA bouts – that his pressuring attack is too much for his opponents, so I expect Gaethje to get a KO on the feet at some point, but may have to walk through hell and back to get it. On top of these amazing fights we also have – Felice Herrig vs. Cortney Casey, Cynthia Calvillo vs. Carla Esparza, Sabah Homasi vs. Abdul Razak Alhassan, David Teymur vs. Drakkar Klose, Yancy Medeiros vs. Alex Oliveira, Al Iaquinta vs. Paul Felder, Michelle Waterson vs. Tecia Torres and also the possibility of a big name fight coming in at the last minute too! At this point you have probably read enough so you must be itching to know how much it will cost for you to book your own ticket for this amazing event. Well don’t forget that every UFC fight card has its own pricing structure, which is mainly down to the venue, the amount of star names at the event and how close you want to sit to the cage. So for this UFC 218: Holloway vs Pettis event the ticket prices currently range from $25 -$2,960 which is really great prices for this amazing night of fights. If you want to look at all the seating plans right now, so you can get the best position booked for the event, then you can go to my favourite website for getting tickets. Lets rock on down to Detroit Rock City! Detroit is such a great historic city, my mum said it used to be one of the best places in the world to see live music, well I’m no music expert, but I know that any live UFC event is a blast, so I’m likely going to this card myself. I do not want to miss Max Holloway in his first title defence going up against the legendary Frankie Edgar for this UFC 218 card, let alone all the rest of the great fights. Its gona be unmissable to me, so if you agree then you better book your seat right HERE. 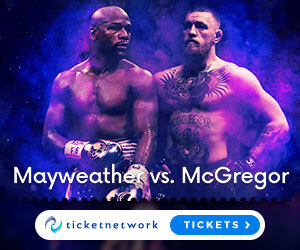 Don’t forget you can always stay up to date and look at the list of UFC events which you can book tickets for right here at the MMAGateway on our events page. or if you just want schedule information look on our Schedule page. I hope you have enjoyed today’s post so drop a comment or question below, and I look forward to seeing you in Detroit! Hi!! I really loved your post! You provided useful information about UFC events and fighters. And most of all on how to buy tickets!! There are lots of people who searching for ways to buy a ticket for a specific match without results!! Congratulations you’ve done a really good job!! Hey Nik, thanks for your support! Yeah UFC: 218 is gona be BANANAS! But don’t forget you can always look at the list of UFC events right HERE, there is always another big card coming up!